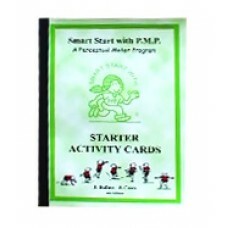 Starter Activity Cards to be used to conduct a Perceptual Motor Program. They provide a description of what the station is and its aims and how to conduct the activity with children. They need to be used in conjunction with Smart Start with P.M.P. Teachers Manual and Floor Session Plans. A set of 100 activities on cards in a tear out book form ready to be laminated. These are starter activities for those teachers setting up programs who wish to use a pre-planned program. 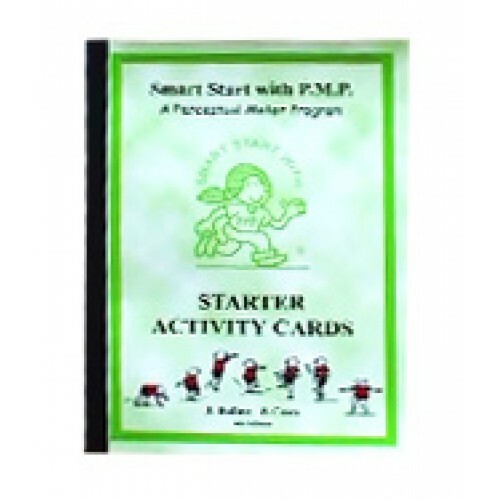 Each activity card includes program station, substations, floor sessions, indivualizing ideas, techniques, teaching points, evaluation questions, equipment list and sketches to aid setting up of equipment.